Ahead of changes to first aid regulations, the Health and Safety Executive (HSE) has published guidance to help businesses put in place appropriate arrangements for the provision of first aid. From 1 October 2013, the Health and Safety (First Aid) Regulations 1981 will be amended, to remove the requirement for HSE to approve first aid training and qualifications. The changes are part of HSE’s work to make it easier for businesses and other users to understand how to comply with health and safety law, whilst maintaining standards. They apply to businesses of all sizes and from all sectors. Andy McGrory, HSE's policy lead for First Aid, said: "From October, HSE will no longer approve first-aid training and qualifications. The guidance documents clarify what the law requires and provide practical help to businesses in assessing and understanding their first aid needs. Where a first aider is required, the guidance documents make it clear that the employer is free to select a training provider who is best suited to those needs. Advance copies of ‘The Health and Safety (First-Aid) Regulations 1981’, ‘Regulations and Guidance (L74)’ and ‘Selecting a first-aid training provider (GEIS3)’ are now available on the HSE website. Public consultation, extended stakeholder discussions and input from businesses of all sizes demonstrated general support for the proposed guidance. Legislative changes have been approved by the HSE Board and by Parliament. 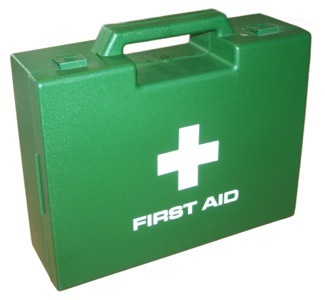 The legal requirement for employers to ensure they make adequate provision for first aid, in accordance with their first aid needs assessment, will remain unchanged.